As the phony Russian dossier and collusion loses steam, the press pushes a new false narrative that the president has dementia, or early onset Alzheimer’s disease or some other psychosis that would build the case to remove him from office. Once again, the press was very disappointed with the results when Dr. Jackson explained the cognitive exam he administered on President Trump resulted in a perfect score of 30 out of 30 questions answered correctly. NBC News reporter Hallie Jackson noted that Trump’s weight put him just shy of obesity, based on body mass index, and asked the doctor, “You’re confident of that number? Dr. Jackson said yes. Much to the Clown Cars disappointment, President Trump is in “excellent health.” However, this hasn’t put their narrative to bed as they continue to question Dr. Jackson’s exam, the president’s health and his fitness to office. The only thing slowing the clown car down on this topic is #shithole gate which is the presses new foil for Trump being a racist. Clown Car madness continues. Is the Clown Car gas, electric or foot powered? Is Keith Olberman or Stephen Colbert in charge of honking the horn? 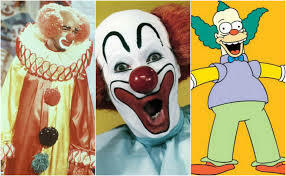 Did MSNBC’s Rachel Maddow or Laurence O’Donnell design the clown outfits? Who is funding the Clown Car? Who are the Dark Clowns?